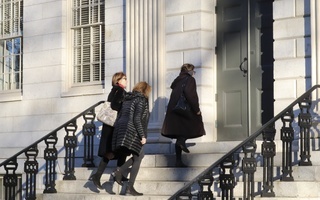 Harvard will join a group of higher education institutions focused on combating harassment and discrimination, University President Lawrence S. Bacow announced at the faculty’s monthly meeting Tuesday afternoon. Bacow debriefed the faculty on initiatives the University is taking to combat sexual and gender-based harassment. 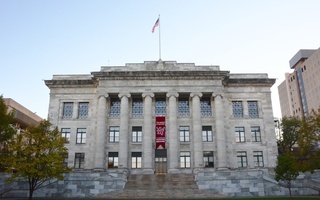 In uniting with other higher education institutions, Harvard will be joining an initiative with the National Academies that focuses on sexual harassment of women in the academic sciences, engineering, and medicine. He added that administrators are discussing ways to combat sexual and gender-based harassment, noting that he and others heard from experts on the topic during a retreat over winter break. “It was an enlightening conversation for all of us,” he said. 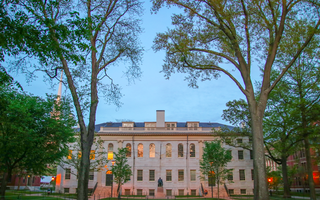 Following Bacow’s announcement, the faculty sparred over a proposal to establish a concurrent degree program allowing students to obtain both a bachelor’s and master’s degree in four years. 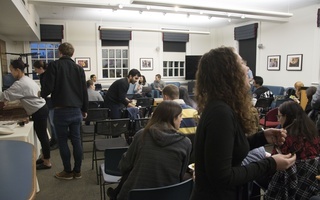 The proposal, presented by Comparative Literature Professor Karen L. Thornber, would replace the current Advanced Standing program, which is currently being phased out. Advanced Standing allows students entering the College having completed advanced coursework to either obtain a bachelor’s degree in three years or a master’s and a bachelor’s in four. Unlike the Advanced Standing program — which requires students to enter college with a certain number of Advanced Placement or International Baccalaureate credits to participate — the new system would be open to all students in the class of 2022 and beyond. Students in the proposed program would be allowed to double-count three courses towards both bachelor’s and master’s degrees. They would then be required to take five graduate-level courses in addition to their normal undergraduate work to complete the program, likely requiring them to take five courses for five semesters. Faculty opposing the proposal said the program could overburden students, damage the integrity of master’s degrees, and continue to advantage students who attended elite high schools. “The quality of students’ work — and these are our best students — will go down as they split their daily 24 hours five ways instead of four,” he said. Thornber said she would be open to increasing the number of courses students could double-count towards a master’s degree from three — as detailed in the current proposal — to four. But that incremental change likely will not placate some of the more vocal opponents of the proposal at Tuesday’s meeting. Physics Professor Howard M. Georgi ’68 suggested allowing students to double-count all eight graduate-level courses towards a dual degree, so as not to constrain students’ research pursuits. “In addition to making it clear that we value the quality of our students’ education over sheer quantity, this would eliminate the games that students can now play with their grade-point averages,” he said. Robb Moss, chair of the Department of Visual and Environmental Studies, also presented a proposal at the meeting to change the name of his department to the “Department of Art, Film, and Visual Studies,” saying the current name has become “opaque” after a decades-long shift in the focus of its classes and faculty research. The Faculty Council — the Faculty of Arts and Sciences’ highest governing body — voted to approve both proposals at its meeting last week. The Council’s vote is purely advisory, and the full faculty will likely vote on the proposals next month. The point is that the intelligent observer will realize that the liberally educated remain a small minority of the national population regardless of how many people attend universities.